Samsung has finally made the Galaxy S9 and S9 Plus official. The wait was long, but the manufacturer decided to reward its fans by making the two devices available right now! The two devices can be pre-ordered before the official launch scheduled for March 16. Here's how to buy S9 and S9 Plus in the US and UK. Where can I buy the Galaxy S9 and S9 Plus? 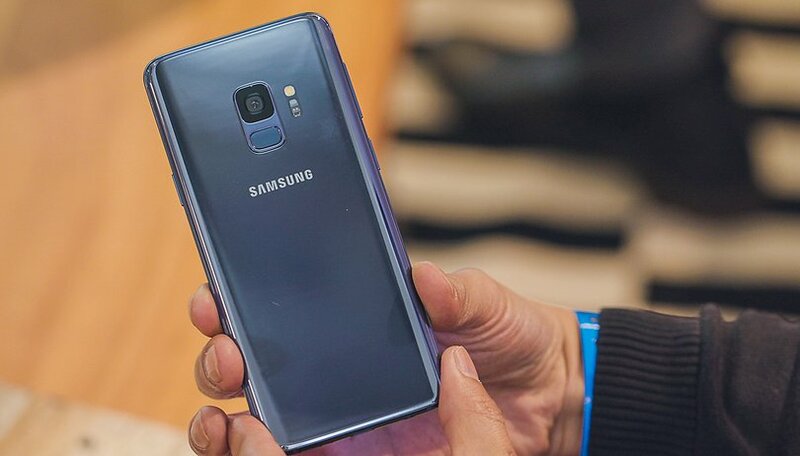 Samsung's two new flagships are official after months of rumors, leaked photos and technical specifications. You can pre-order the S9 and S9 Plus directly from the brand's official website, which at the moment is the cheapest way to do so. Pre-orders are also available via some telephone operators and other online platforms. Samsung also offers a trade-in, so if you own an LG, Apple, Google, or Samsung phone, you can save from $100 - $350 depending on your device. By trading in your S8 for example, you can save $350. For any other phone, it's $50. Pre-orders already began on March 2, and official sales will begin on March 16. Samsung promises delivery of your devices within 7 days of the date of sale, which means by March 23 you will have the successor to the Galaxy S8 in your hands. By pre-ordering your S9 or S9 Plus, you'll not only be among the first to have the brand's new top-of-the-range smartphone, but you can also relax and know you won't miss it due to stocks running out. How much is the new Galaxy S? The prices for the Galaxy S9 from the official website are $719.99 and $839.99 for the Plus model (or possible more depending on which memory you opt for). Both devices are available in Midnight Black, Arctic Grey, Coral Blue and the brand new Lilac Purple. Unfortunately, the price increased compared to S8 and S8+. No surprise there. Samsung's top-of-the-range products have never been cheap. Smartphone manufacturers (we are not just talking about Samsung) have been raising the price of products over the last few years. And sadly, there is no exception with the S9 and S9 Plus. We'll be updating you again once we have more information about the price for other variants. How much does it really cost to make a smartphone? Verizon: $800 for the S9 ($33.33 per month for 24 months), $930 for the S9 Plus ($38.74 per month for 24 months). Verizon also offers trade-ins of up to $350 (for the latest gen iPhones, or Galaxy S8/S8+). T-Mobile: $30 per month for 24 months for both devices, with a down payment of $120. T-Mobile also offers a good trade-in deal, with up to half price ($360 credit) off the Galaxy S9. Sprint: $33 per month for a total of $792, but you can pay your balance or trade in the phone after 18 months. Sprint also has a special deal if you switch carriers: $13.55/monthly for the S9, $18.55 for the S9 Plus. Best Buy: Best Buy have a deal on offer for its customers. You can get up to $100 off by pre-ordering through the carriers above. Have you pre ordered yet? Or is the S9 price too high? Let us know what you think. I pre-ordered the s9+. I'm excited for this release! Wait for the 50% off sale. There will be one. The S8 had one. That was a BOGO offer, not a 50% off sale. Crazy...paying that much for "a phone". If you carrier finance which most consumer's do the s9 will cost 1.00 a day for 2yrs. To most it's no big deal! If you don't fancy paying so much for a phone, there are always the mid-range or entry-level options. Well, Samsung finally went out and did it. The FPS is corrected and in the proper position. This appears to be a fine looker & design. The 845 processer, 6gb's & duel camera's. The camera is the most improved. I have never pre-ordered before but this is very tempting. My 8+ is the best phone I've ever used but I may have to consider this, maybe! Pathetic isn't it? That we have a generation that is financially illiterate. I love my HTC u11 Life. what makes you think it's a single generation and not multiple? what makes you think financial illiteracy is at play here? any numbers or statistics to back that up?